Welcome to the second enlightening Spiritual Fashion Editorial wearing my favorite Romanian Designer, Daniela Barb, dedicated to Freedom, possibly the most desired non-material dimension of both Body, Mind and Soul and the name of the ethereal silk cotton jumpsuit I am proudly wearing. I loved it so much I ordered one for my own special occasions therefore I cannot wait to display it properly when the time comes to be invoked for my flawless sense of Personal Style and uplifting Energy which I continually share with you all, whether through my extra-sensorial Pictorials or my kind Words of Wisdom. I have recently been through a life-changing event – the departure of my beloved grandfather out of this material world at almost 91 years old to the Kingdom of Heaven – event which has opened the doors to another level of Divine Perception. I feel the most blessed I had the chance to visit him daily for the last 8 days prior to September, the 10th, and spend Quality Time together laughing or remembering funny aspects of my childhood. The most precious thing he said was that I am “of Glory” Romanian: “de fala”), which is one of the most beautiful compliments I could ever receive. First of all, my grandfather was a very respected member of his community and a well-reputed surgeon who saved hundreds, maybe thousands of lives during his lifetime. He was the precise definition of #GloryToTheHoly – a Majestic Example of Wisdom, Power, Leadership, Expertise, Respect, Patience and Pertinence shown in the medical field and during the life long act of being human. He was the mediator of many conflicts and the Highest Personification of the Values I mostly take pride in – Ethics and Morals. He was highly and nationally decorated for his outstanding medical contributions and the winner of the Romanian Order of the Star decoration, which I particularly wished to guard in his loving memory. Considering I am not allowed to wear it, I am looking forward to bringing my own contribution to society and be recognized for it with my own Star. His outstanding life achievements, modest and respectful attitude, dedication to work and family and, nevertheless, pertinent lucidity until the very moment of his passing are of greatest value to me personally. I feel more than blessed to have such an honorable example for an entire community as a member of my family. I did not mourn during the ceremony because I did not felt grief, but a revered sense of peace my grandfather had honored his Godly Mission, Vision and Values, until the time had come for his Soul to achieve Immortality. This editorial is exclusively dedicated to my Role-Model and to the Freedom of his Spirit, now laying next to God after a lifetime of Outstanding Achievements. May he rest in God’s Glory. Welcome to my fabulous Royal Endeavors episode dedicated to one of the greatest museums I have ever visited – The Victoria and Albert Museum – which happens to be the world largest museum of decorative arts and design, housing an impressive permanent collection of over 2.3 million objects – it is absolutely free, perfectly outstanding and moreover, located in my new favorite city in the world, London – my darling! The V&A was founded in 1852 and named after Queen Victoria and Prince Albert. It is located in the Brompton district of the Royal Borough of Kensington and Chelsea, in an area that has become known as “Albertopolis” because of its association with Prince Albert, the Albert Memorial and the major cultural institutions with which he was associated. These include the Natural History Museum, which will be the subject of yet another fascinating Royal Endeavors, the Science Museum and the Royal Albert Hall. The museum is a non-departmental public body sponsored by the Department for Culture, Media and Sport. Like other national British museums, entrance to the museum has been free since 2001. Its collection spans 5,000 years of art, from ancient times to the present day, from the cultures of Europe, North America, Asia and North Africa. The holdings of ceramics, glass, textiles, costumes, silver, ironwork, jewelry, furniture, medieval objects, sculpture, prints and printmaking, drawings and photographs are among the largest and most comprehensive in the world. The museum owns the world’s largest collection of post-classical sculpture, with the holdings of Italian Renaissance items being the largest outside Italy. The departments of Asia include Art from South Asia, China, Japan, Korea and the Islamic world. The East Asian collections are among the best in Europe, with particular strengths in ceramics and metalwork, while the Islamic collection is amongst the largest in the Western World. Overall, it is one of the largest museums in the world. Prince Albert’s wish was to create a museum that would improve British industry by displaying works of art and design to educate and inspire designers, manufacturers and the public. Today, many of the UK’s national collections are housed at the V&A, alongside some of the most outstanding examples of architecture, fashion, painting, textiles and theatre and performance works. 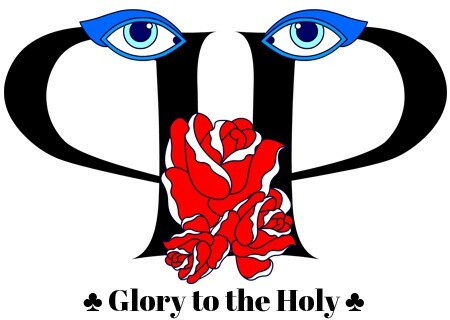 Glory to the Holy – Folkloric Heritage High Fashion – Bistro Stradivari, Brasov. We have gathered here today to welcome and praise a new Queen P 2k17 enlightening Spiritual Fashion episode, channeling gracefully eternal highlights of the Romanian Folkloric Heritage at the highest standards of Quality and Styling, into a Royal Urban personal interpretation which promises to educate your three eyes and elevate your spirit into the extatic 5D reality! As I am extremely proud to be a Royal Ambassador of the Holy Land of Balkans – Romania, wherever I land my feet upon (imagine my immeasurable satisfaction to answer the most FAQ “Where are you from? ), this is to be considered the inspiration culmination of my eclectic styling adventures in regards to the Romanian traditional legacy I insist to preserve. On the Law of Karma. Hello, Karma, my best friend! Please allow me to introduce you to my lovely audience! “People fear what they don’t understand and hate what they can’t conquer”, says Andrew Smith, and this must be the reason why I am shining through on this Earth, conquering the limits of your perception and breaking the mortal codes of ignorance and programming, in order to free your mind, release your karmic debts and allow the divine Light guide you through the most precious gift of All – your present Life. Once you learn to love and appreciate Life deeply, you just “reap what you sow”.